The Montana Angling Company offers custom outfitting, expert guiding, and authentic Montana fly fishing experiences for anglers staying in Big Sky, MT. 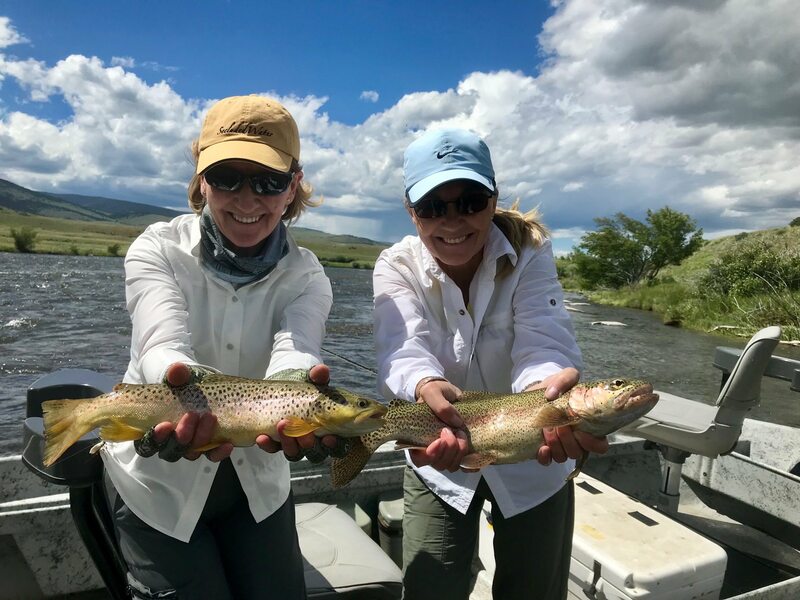 Our Big Sky fly fishing guides are experienced, fun, and courteous professionals that work hard to make your Big Sky fly fishing trip your best yet. Big Sky is uniquely located in the center of some of the finest blue ribbon fly fishing in the state. We offer both wade fishing and float fishing, day-trip and multi-day trip options for novice and seasoned anglers alike. Join us on your next fly fishing trip to Big Sky and enjoy great fly fishing with the Montana Angling Company and our Big Sky fly fishing guides. We offer anglers staying in Big Sky, MT access to flyfishing on a wide variety of rivers and streams. The Gallatin River is the local favorite, just a short drive away, but our custom fly fishing trips also allow for anglers to fish the blue ribbon waters of the Madison River, theYellowstone River, Yellowstone National Park, and several of our private water options. Our custom Big Sky fly fishing trip itineraries include fishing on many of these waters, with seasonal variation depending on where fishing is the best or angler preferences. Big Sky, MT has some of the best lodging and dining in the state of Montana for anglers wanting a true 5 star experience. Hotels, lodges, vacation rentals, and guest ranches are all lodging options for our anglers. Many of these are also great for the non-angler in your group or family, and non-angling outdoor activities in Big Sky include whitewater rafting, horseback riding, hiking, visiting Yellowstone National Park, and, of course, skiing. The restaurants in Big Sky, MT are some of the best in the state, and we can provide anglers with recommendations for the best local eats. While fly fishing is our focus, Big Sky is also home to Big Sky Ski Resort, offering some of the best skiing in the country. We have several options available to fish during the winter months if you need a fly fishing fix on your next skiing trip to Big Sky. We offer a special Winter guide trip rate for anglers willing to brave Montana’s winter. Big Sky fly fishing is a year-round job for the Montana Angling Company and our Big Sky fly fishing guides and we look forward to hosting you on your next trip.